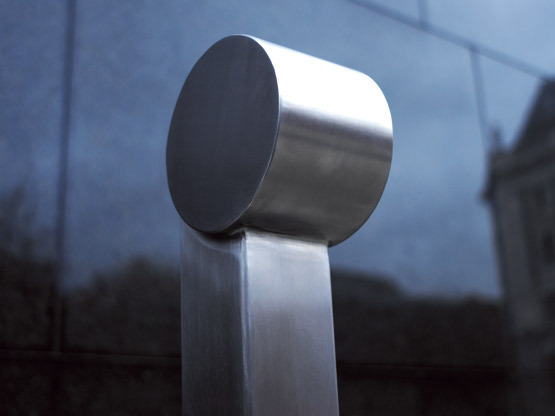 Porthos combines the simplest of design elements into a unique form that can work either as a stand alone bollard or connect to form a linked chain or rail fence. Circular faces to either side provide an ideal space for signage and graphics, making Porthos the ideal bollard for delineating cycle paths and routes of interest. Porthos is fabricated in tough stainless steel.